In a perfect world, we would not need supplements. That said, this is not a perfect world. Far from it. No corner of the globe, however remote, escapes the far-reaching side effects of today’s society: air and water pollution; topsoil erosion and soil depletion; radiation; exposures to toxic chemicals from pesticides, herbicides, immunizations and medications; and, with all due respect to those who deny its existence, climate change. Even if we have state-of-the-art air purifiers and top-drawer water filtration systems, unless we live in our very own biosphere, never receive vaccinations or take pharmaceuticals, grow all our own produce, and raise and butcher our own animals, we will most likely have to resort to supplementation in order to combat the ravaging effects of the modern age, and to meet our nutrient requirements. And as we age, this becomes even more important. The same is true for our dogs. No matter what we feed our canine companions, I would wager my beloved home on the fact that, if we were to send samples of our dogs’ suppers out for laboratory analysis, we would be surprised at best, and horrified at worst, to learn how many nutritional gaps would be found. As guardians of older dogs in particular, it is up to us to ensure these animals are getting enough critical nutrients to prevent, and in some cases, minimize the effects of, age-related issues like inflammation (such as gastrointestinal conditions or arthritis) and oxidative stress. As I am first and foremost a holistic nutritionist, I believe in the concepts of Fix It With Food First and Food as Medicine. If we approach supplemental support for these conditions from a holistic perspective, we may be able to avoid, or at least reduce the need for, NSAIDs, steroids and pain medications, and drugs like Adequan and Anipryl, which come with both high price tags and serious health risks. Let’s take a closer look at three, all natural, easy-to-find, affordable, and most importantly, safe whole food supplements that you just might already have in your kitchen cupboard. First on the list is bone broth. Ridiculously popular with Paleo and GAPS diet devotees, bone broth has been enjoyed by myriad “primitive” societies for centuries, albeit without the stoneware slow cookers and mason jars. All you need to brew a great batch of this rejuvenating superfood is a large stockpot, filtered water, raw apple cider vinegar, and, you guessed it, bones (though feel free to get creative and toss in some carrots, celery, parsley or even mushrooms). It’s best to select cartilaginous bones such as beef knuckle bones, chicken feet, or even that turkey carcass from last Saturday’s soiree in order to yield plenty of collagen, glucosamine and other gut- and joint-supporting nutrients. The key to good bone broth is to take it slowly. Start a batch early in the morning, and let the apple cider vinegar work its magic as the hours pass, even overnight, as the acetic acid extracts the minerals from the bones. It’s best to cook the broth for 24 hours or more on the lowest possible heat setting, stirring occasionally, and then allow to cool before you remove and discard the cooked bones; and then refrigerate, de-fat, and finally strain, the remaining contents of the pot. Next on the list is the antioxidant called alpha-lipoic acid. This powerhouse nutrient is found in every body cell, and works hard to convert glucose to usable energy. Some holistic veterinarians call alpha-lipoic acid the Fountain of Youth because it is able to cross the blood-brain barrier in order to assist in prolonging sound mental and emotional states of dogs well into old age. Who says old dogs can’t learn new tricks? Take that, canine cognitive disorder! 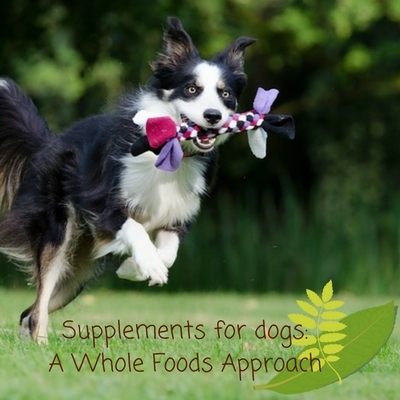 There are many ALA supplements on the market, but why not feed your dog his ALA? It is found in abundance in foods including beef heart and liver, broccoli and spinach. Finally, don’t forget about omega 3 fatty acids. Many people feed their dogs commercial dog food that contains fish oil. I do not support this, for these reasons: even the best fish oil is very fragile, and starts to turn rancid when exposed to heat and/or air, and even when frozen; and most of the fish oil that is used in commercial pet food is not suitable for human consumption, and has been chemically treated, often times with dangerous solvents. A better option would be to feed your dog a fish oil-free commercial or home-prepared fresh food diet, and add human-grade (small bodied) fish oil, or phytoplankton to his meals just before serving. This way, your dog will benefit from the stable, inflammation-fighting, brain-building fats he was designed to eat. Hippocrates had the right idea when he advised: “Let food be thy medicine and medicine be thy food.” After all, some say he lived to be over 85 years old, during a time when the average life expectancy was 40 years! Just food for thought. Thanks for explaining WF approach, I appreciate the research. Happy weekend..
Glad I could help and that you found it useful information. Enjoy your weekend as well. This is interesting information. I’m struggling with a cat that has extreme food allergies – she’s currently on a steroid but we need to get her off it. 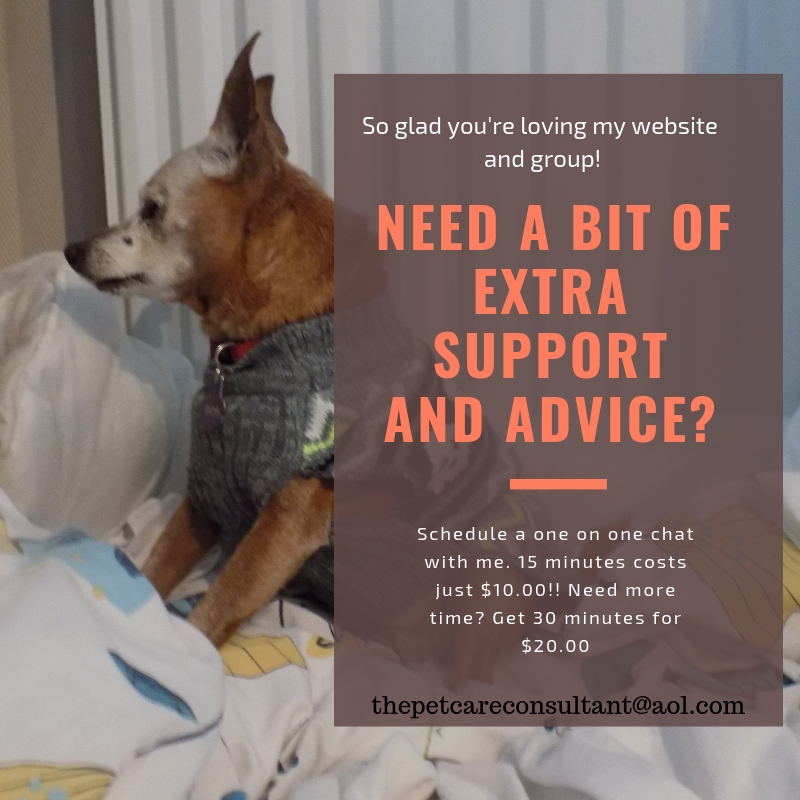 If the vet method doesn’t work – and it looks like it isn’t – I’m trying the holistic way next. Sorry to hear that Sherri. My new holistic vet would go mad if he heard the answer to an allergy was steroids!! Has your vet recommended a change in food perhaps? I know that sounds like a stupid question, but I know how quickly many vets prescribe a drug before they try a kinder, gentler approach. If he’s not able to offer an alternative, it certainly can’t heard to seek the advice of a holistic vet. Good luck and let me know what happens. Great tips. We’re big believers in bone broth in our house. We cook a batch of ‘turkey broth’ (we use the turkey necks) about every 2 weeks – some stays in the fridge, the rest we freeze in ice-cube trays. Not only is it good for them, the extra liquid helps keep them hydrated during our hot summers. Great tip for you as well. I freeze the liquid after I boil chicken, then melt a cube over their food for some extra taste and I agree, hydration as well. Articles about bone broth seem to be popping up all over the place these days. I don’t know if it’s a new thing, or I’m only now becoming aware of it. This is an informative and helpful post. we need to spend more time sourcing and working on a healthy diet for us and our pets. Red is a lucky dog to have such care from you. Thanks!! My holistic vet put Red on a whole foods home cooked diet, tailor made for her based on recent blood tests. He believes it’s the basis of good health, and a much better source of nutrition for her than dog food. Bone broth is okay for cats as well, but I always recommend consulting a vet before making changes just in case. For me it’s habit because of Red’s health issues, as I always prefer to take the “better safe than sorry” route. Mr. N gets the occasional bone broth and beef liver. I’ve tried giving him fish oil several times but it seems to be a little rich for his stomach. I’m sure Mr N Loves them! I’ve had that experience with fish oil as well. Safest to buy specifically for dogs as it’s easier to get the measurements right. Thank you for this information. I know Truffle and Brulee will be considered senior kitties in a couple more years. I need to keep this information for future reference. I’m so glad you found the information helpful, hoping Truffle and Brulee will benefit. I am a big believer in you are what you eat and foods and supplements can be like medicines. You have inspired me to make bone broth for Kilo and reminded me to take my own fish oil. He and I often snack on broccoli. Glad I could help!! I find it interesting how much a whole food home made diet can help our pets, even more than drugs. My new holistic vet put Red on a homemade whole food diet, because he wasn’t happy with her eating a prescription diet. I wish I could say I snack on broccoli but sadly… I snack on snacks!! These are great ideas! I think we all need to be adding a few holistic supplements to our diets. It can be tough to get food that has enough nutrition. As our pets age, they need more and more nutrition in less food. Thank you for sharing these supplements. Thank you Robin. I agree with you. There is so much talk about how much of our pets’ food lacks the proper nutrition, and the question over the efficacy of prescription diets. My new holistic vet has taken Red off her prescription food and created a whole food, home cooked menu for her. I guess I’ve been so brainwashed into thinking dog food is the only way to go, it’s hard to wrap my head around how beneficial whole grains, chicken, fruits and vegetables can be.